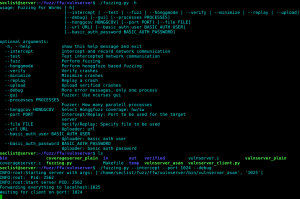 Browse: Home / ffw – A fuzzing framework for network servers. 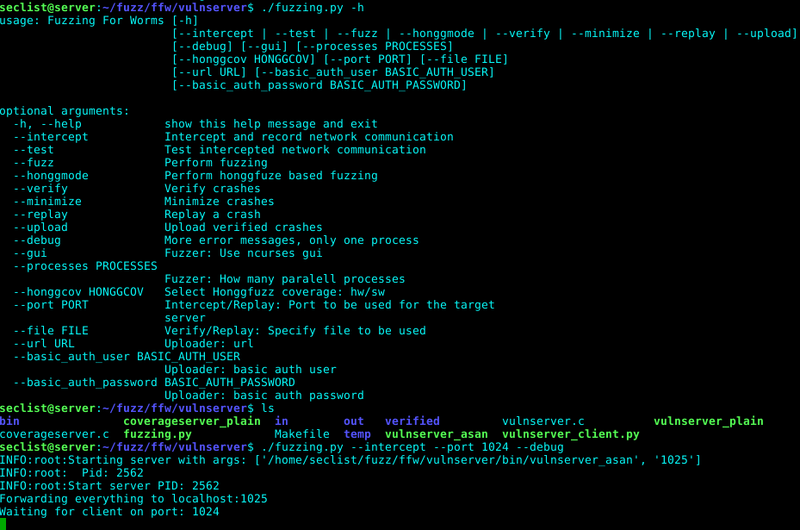 Fuzzes network servers/services by intercepting valid network communications data, then replay it with some fuzzing. FFW can fuzz open source applications, and also closed source applications. It also supports feedback driven fuzzing by instrumenting honggfuzz, for both open- and closed source apps. This is called honggmode. + Very fast fuzzing setup, no source code changes or protocol reversing needed! then copy all file into vulnserver directory: It will contain the file fuzzing.py, and the directories in/, bin/, out/, verified/, and temp/. ← idasec – IDA plugin for reverse-engineering and dynamic interactions with the Binsec platform.